OMA / Rem Koolhaas & David Giannoten’s MPavilion 2017 reinvents the ancient amphitheatre for 21st-century Australia. In this dynamic reimagining, MPavilion becomes a platform for exploring interactions in today’s society. The design is conceptual spolia—defined as ‘the reinterpretation of earlier forms and imagery in a new context’—at its contemporary best. But MPavilion 2017 is not the first example of this approach in the city. Melbourne is filled with buildings that refer to the past as a way to respond to the present. Not only is it arranged on a Roman-grid plan, Melbourne’s urban environment transplants classical forms and ideals into a new context. In the process, the traditional visual concepts are abstracted and they gain new meaning. What role does the past have in informing our modern city and the lives we lead within it? 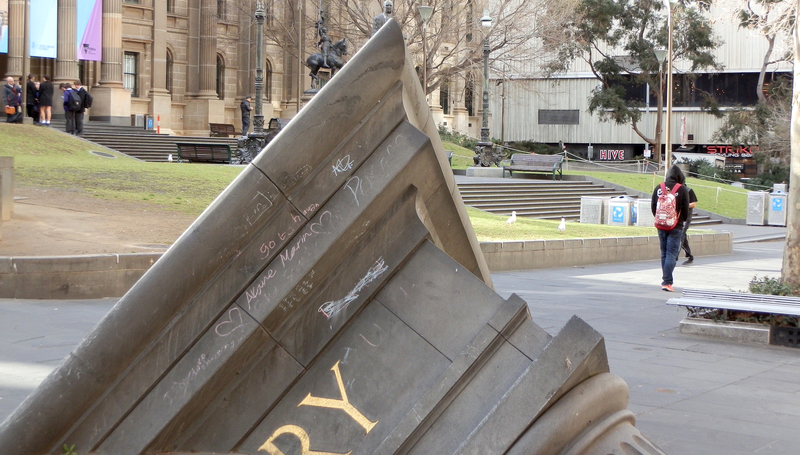 How are external and historic ideals made relevant to the contemporary Australian landscape? This MTalks presented by Monique Webber—State Library of Victoria La Trobe Society Fellowship; and an honorary fellow, principal instructor, and assistant coordinator at The University of Melbourne—will reveal the conceptual spolia of Melbourne’s streets.